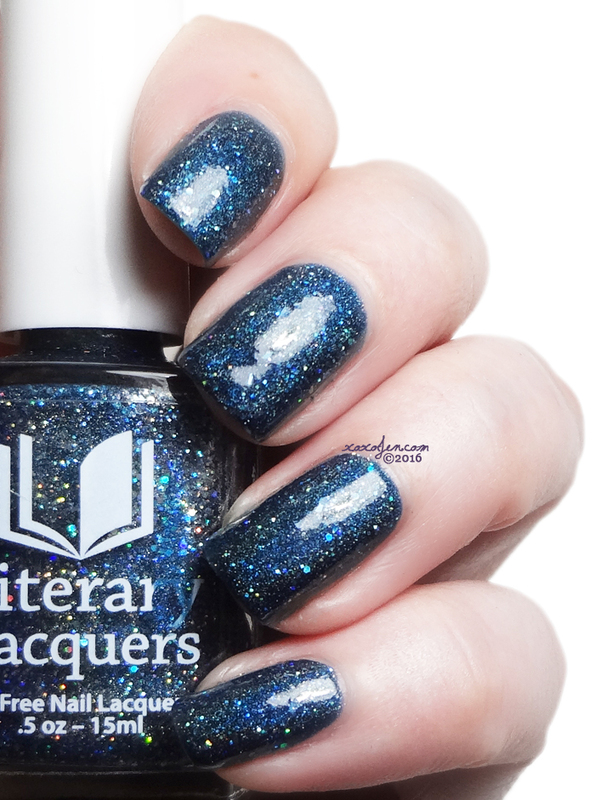 Stars Walk Backward from Literary Lacquers is part of a new Indie Box from The Nail Whisperer called My Favorite Things launching in a limited quantity on March 20 at 11pm SGT (10am CDT). 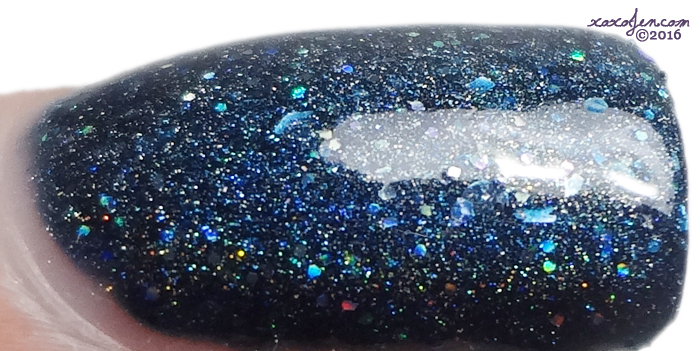 The polish is an inky blue bursting with twinkling holo glitter and pigment. I wore two coats and topcoat for a smooth glossy finish, no issues at all. The inspiration for this polish is from an E.E. Cummings poem called "dive for dreams"
Believe In Yourself! - is the overall meaning of this poem to me. E.E. encourages us to always stand strong, fight for our dreams, be confident and have the deepest trust in your own heart. And in the last two stanzas, to welcome the future and ignore the bad things in the world; there is always good. The other three polishes that come in the box with this one are very pretty! You can view those over at Nail Whisperer before launch. This along with the offering from Celestial are my favorites in this box. I love that shade of blue and I bet it looks good in sunshine and the fluorescent lights of an office. You're right! This polish is very pretty in all lighting that I noticed throughout the day. I especially love looking at it while on an elevator! I don't know what it is, but elevator lights just do something magical to every holo polish!